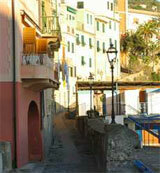 ..:: Gruppo folcloristico Amixi de Boggiasco ::..
Bogliasco is a small city on the sea. It's near Genoa in the levant Riviera(east coast of Genoa). Next Shows: Click here to see where will be our next shows! New section: Soon online new photos and a special section to leave messages and comments in the site. Photogallery: Some images of the sea and the beautiful places you can find in our small city.